In our fast paced modern times, it can seem as though Mothers have been forgotten. With very little in the way of REAL practical support or preparation, and high standards of “perfection” from society, the years of giving birth and raising young children can be an extremely vulnerable time for a Mother and her family. Some mothers will experience crippling low-self esteem as though a great demotion has taken place from their previous lives, and chose to isolate themselves rather than admit they are not coping or seek help. Many women are told that exhaustion is is the “normal” experience of Motherhood and to simply endure as generations before have done. Health issues go unchecked, contributing to chronic states of physical depletion. Alternatively, with such limited science available about the complex nuances of the postnatal phase, women who do seek help are commonly diagnosed with “Depression.” Dr Serrallach is a leading Functional Medicine practitioner and a pioneer in the field of Post Natal Wellbeing. This emerging field attempts to recognise and understand the unique biological changes that occur in a mother during pregnancy and in the first few years after giving birth. With reference to the ways of traditional societies and ancient practices, Dr Serrallach combines the emerging science with his own extensive clinical expertise in what he has termed “Postnatal Depletion”. He weaves a narrative of how we have arrived in this unprecedented modern day health crisis for women, in order to diagnose and treat more accurately, and honour Motherhood in the way it deserves. His book “The Postnatal Depletion Cure” released through Goop Publishing in 2018, is a passionate and accessible manual for Mothers and wider society, and a call for women to “be-in-arms". 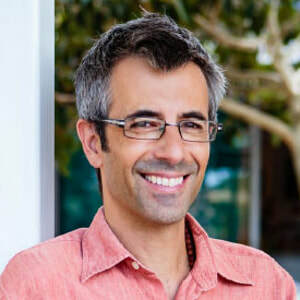 It aims to support Mothers step by step through their recovery from Postnatal Depletion, to ultimately embrace the full biological and spiritual upgrade of Matrsecence..
Dr Oscar Serrallach is a family doctor based in Byron Bay who specialises in post natal wellness. He has done specialist training in family medicine and functional medicine. He coined the term 'Post Natal Depletion' to describe a syndrome of physical and emotional symptoms that can affect mothers for years after the birth of a baby. His book the 'Post Natal Depletion Cure' takes a holistic approach in how to help mothers reverse this depletion and recover their sense of wellbeing. Using Matrescence - the science of motherhood - to help support mothers through this healthy transition into early motherhood and avoiding the syndrome of 'Post Natal Depletion'.